Similar specifications to the single sided cards but the fronts and backs (both printed on photographic paper) are permanently heat mounted together. 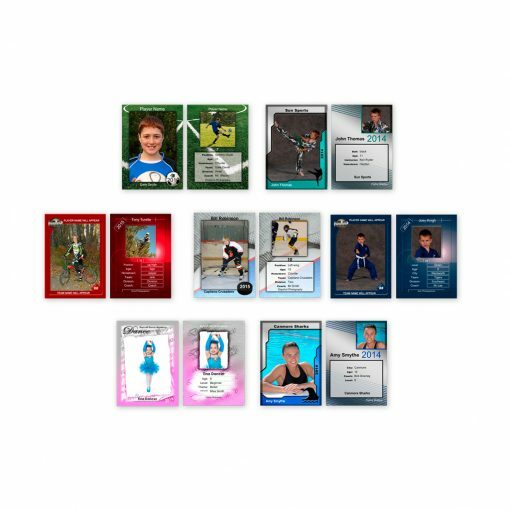 Double Sided Trader Cards have fields available for data such as Name, Team Name, Coaches, Position and more. Field names can be customized and when using FLOW to collect data and link images, these fields can be seamlessly populated with data.